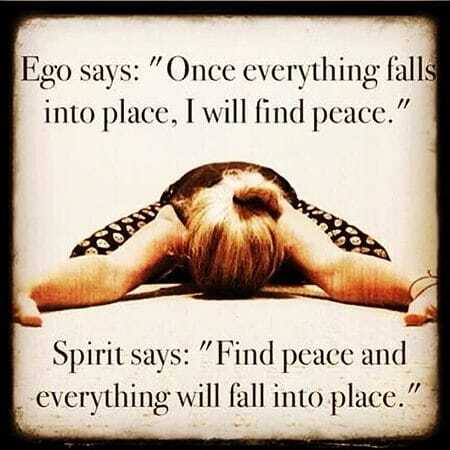 Ego and egotism are two things entirely. We each have an ego, as defined by Freud - it is our thinking mind's sense of identity. Egotism, however, is a symptom of a fearful mind. When, through personal growth, the mind is increasingly created by our loving source, then ego becomes transparent. 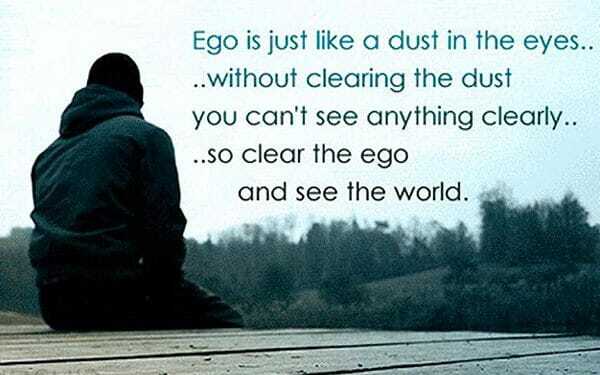 The reactive ego tends to be negative, the mindful presence to be positive. Which is the true you? Why courage to listen? Because we are opening up to alternative ideas and as a result our precious beliefs and fixed ideas may be threatened and our ego rightness put in question. But without genuine listening there is no chance of real progress being made. To move ahead, we need not be afraid to speak from the heart nor to listen generously. Splitting everything into two's... love/hate, beautiful/ugly, good/bad, etc. is an aspect of left-brain analysis - the judging ego. But it's in quite the opposite direction to the spiritual tendency to accept without conditions - the loving compassion that recognizes oneness. Oneness and separation also make a whole; neither are therefore 'good' or bad' as such, they are part of the human condition that we incarnate to experience. Both sides of a dichotomy in life (yin and yang, light and dark, good and bad, individual and integrated, etc) form a whole; both apply at the same time, neither can exist without the other, like the two sides of a coin. We can be human beings and enlightened spiritually all at once - not just one or the other as is often implied. Mindful awareness can accompany the body-mind and ego, and provides a valuable missing context. The mental sense of self, or ego, is a surface mask for a deeper identity, the true self, so often hidden or asleep. Let go... and become the 'butterfly' that you are destined to become. How Do You Keep Your Ego Feeling Good? ~ by Gabriella Kortsch, Ph.D.